corporates etc will have a relatively dampening effect. to the commodity transaction tax (CTT). like Kerala where private sector banks are strong. such centres as part of their CSR activities. CII has welcomed the Budget 2013-14 as a growth-oriented Budget that would kickstart the next cycle of investment. Coming in the backdrop of challenging global and domestic macro-economic conditions, the Budget makes laudable efforts to optimise growth drivers while addressing inclusive and sustained development. CII is happy that many of its suggestions have found mention in the Budget. “The Budget meets most of our concerns regarding fiscal consolidation, investment incentives, and inclusive growth. These are in alignment with CII’s submissions in its pre-Budget Memorandum to the Finance Ministry,” said Mr Adi Godrej, President, CII. Fiscal deficit has been maintained below the target at 5.2% for 2012-13 and at 4.8% for 2013-14. The slide in investments and savings, particularly household savings, would be arrested through targeted measures. Investment allowance of 15% in plant and machinery was a key recommendation from CII and should incentivise corporates to undertake new projects. For savings, positive steps have been taken to encourage household savings in the financial instruments, especially capital markets and low-cost housing. This would add to investible resources, noted the CII press release. CII is happy to note that the Budget aligns with its recommendation for not making changes to the indirect tax rates, which would have deepened the slowdown in industry. On the other hand, industry would welcome the possibility of a consensus emerging on GST and the new tax being implemented soon, as mentioned by the Finance Minister in his speech. CII feels that the implementation of GST would add upto 2 percentage points to GDP growth rates. 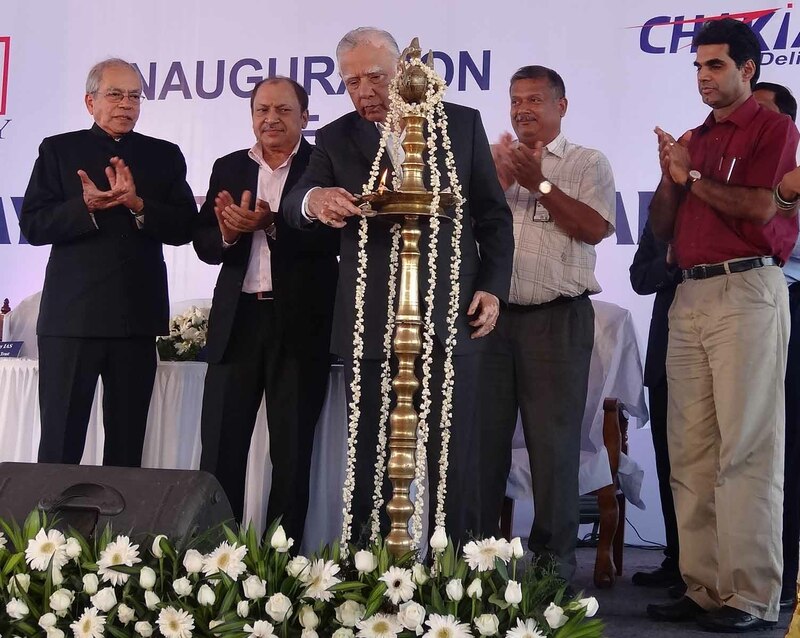 The target of raising nearly Rs 56,000 crore by way of disinvestment is welcome and CII hopes initiatives will be taken to spread the issues throughout the year. Overall, the Finance Minister has done a commendable job in raising revenues wherever possible and allocating the expenditure judiciously. New Delhi, India, 27th February 2013 – Rockstand, eBook and eMagazine application on Mobile & Tablet announced the winners of “My First Book at ROCKSTAND” contest. Mr. Vishnuvardhan from Chennai and, Miss. Kimberly Rowe from Mumbai emerged out as the winners of the contest, they have written on the topic My Rendezvous with God and My First Love respectively. Winners from junior category are Ayush Bakshi for topic ‘My Rendezvous with God’ and Udbhav Kansal for ‘Meri Kahani Photo ki Zubani’. Rockstand received more than 5000 entries across India and the writers included from all the age groups. Not only winners but other best entries are also published in Rockstand platform. Winners from junior category were awarded during the New Delhi World Book Fair. Rockstand has seen a great turnaround of the book lovers during the recently held New Delhi World Book Fair. 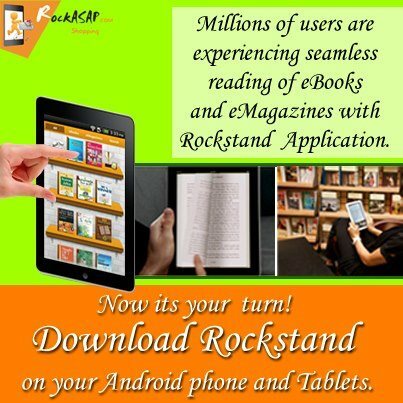 Rockstand tied-up with almost 80 publishers and witnessed more than 5000 download of the app in the book fair. The eminent jury member for My First Book at Rockstand included Dr Chandan Mitra, Managing Director & Editor, The Pioneer, Arindam Mukherjee, Senior Assistant Editor, Outlook, Prabhjot Singh, Chief of Bureau, The Tribune, Ritwik Mukherjee, Senior Assistant Editor, Financial Chronicle, Navneet Mendiratta, Deputy Editor - Exotica, The Pioneer, R Srinivasan, Associate Editor, The Hindu Business Line, Onkar Sharma, Assistant Editor, Dataquest, Varun Bhansali, Output Editor at NDTV, Satya Brahma, CEO & Editor-In-Chief, Network 7 Media Group, Rajeev Ranjan Jha, Editor, Nivesh Manthan, Bipin Chandran, Editorial Consultant, Exchange4Media Group, Stavan Desai, Executive Editor, Divya Bhaskar and Arun Arora, Group Head and EVP, Corp Comm – GVK. With this contest, Rockstand forays into the world of ‘Self Publishing’, which is expected to revolutionize the whole world with its unique concept and opportunities lies for budding writers. With this contest, Rockstand has opened new avenues for many writers who are willing to write, no matter they have formal training or not, and publish their work. By digitally publishing their book, they will get an opportunity to showcase their work on a global platform and get recognition for their work. ROCKSTAND is very first eBook and eMagazine application on Mobile & Tablet platforms in India which does more than JUST BOOK READING! It has been designed to cater to the needs of publisher, readers and techno enthusiast, all over the world. ROCKSTAND is supported by multiple platforms’ like Android, IOS, Windows (Blackberry, Symbian and others are coming soon). Besides, one can carry 400-600 eBooks at a time and can read any of them according to mood and preference. This app aims to curtail piracy as the ebooks and magazines on this platform are Non-transferrable, cannot be printed or copied with a zero possibility of taking a screen shot therefore making it absolute piracy proof. ROCKSTAND comes with automated bookmark, annotations, day & night mode features and many more attractive features. Mumbai, February 27, 2013: L&T Construction has secured new orders valued over `1504 crores across various business segments in Feb’2013. The Water & Solar Business has bagged new orders both in domestic and international markets. The Company’s Water and Effluent Treatment Business has won orders valued over `621 crores. Under the Design Build and Operate (DBO) model, L&T Construction will construct a sewerage network and waste water treatment facility for Bhatpara Municipal Town – a project of the Kolkata Metropolitan Development Authority. Another order is from the Kolkata Municipal Corporation for the construction of 110 MGD raw water pumping station, raw water transmission main, 50 MGD water treatment plant and clear water pumping station at Kolkata. On the international front, the company has secured an additional order from Qatar for its ongoing project for re-use and waste water treatment. L&T Construction’s Solar Business Unit, the largest EPC player in solar power projects in India, has won new EPC orders worth `413 crores from Kiran Energy for the construction of Solar PV plants in Tamil Nadu. In the Power Transmission & Distribution business, L&T construction has won a new order worth ` 265 crores from the Tamil Nadu Generation & Distribution Corporation Limited (TANGEDCO) for power distribution work across various districts in Tamil Nadu. In the Heavy Civil Business, various additional orders worth `205 crores have been secured from ongoing projects. Amusement Parks & Industries (IAAPI) Expo, held recently in New Delhi this year. nature either polluting the environment or exploiting natural resources. capex of more than Rs 300 crores for the Hyderabad amusement park. received accolades and awards from IAAPI in the past as well. the amusement park in Bangalore. international levels”, said Oommen Kurian, Chairman, Pepper Creative Awards Trust. challenges in professional manner, he added. Estate, Textile, Hospitality, Ayurveda and Others. option of investing using cash in retail mutual fund schemes through select Allahabad Bank branches. - per investor, per mutual fund, per financial year. Services and is the first mutual fund company headquartered in Eastern India - Kolkata. focus on semi-urban and rural areas to tap retail investors. Dubai: Kunjananthande Kada, the second film by Salim Ahmed, the director of Indian national award winner Adaminte Makan Abu, will have Dubai Hit FM RJ Nyla to play the heroine to the superstar Mammootty. The crew was reported to be on for a heroine hunt for long as they wanted a fresh face to play the role. The film with its Kannur background, one of the northern districts of the south Indian state of Kerala known for its typical slang and style of talking, will have Mammootty, famous for his dubbing finesse, for the first time speaking in Kannur slang. Salimkumar who won the national award for his title role in Salim Ahmed's debut will also play a major role in Kunjananthande Kada (Kunjananthan's Shop). As the title denotes, Mammootty plays the role of Kunjananthan who runs a grocery store. The plot revolves around the couple who are never in harmony in their wedlock. Oscar winner Rasool Pookkutty will be looking after the sound recording which will be using the sync sound technique. Produced by Allans Media, the movie will have a lot of new faces. Madhu Ambat, the renowned cinematographer who worked for Adaminte Makan Abu, will be behind the lens. Cochin, February 14, 2013: In an effort to bridge the unemployment gap in the country, Indian Institute of Job Oriented Training (IIJT), one of India’s fastest growing career skills training institutes and a subsidiary of TeamLease Services, is planning to organize a day long job fair in the city on February 16th 2013. Hosted at the IIJT centre, the event is expected to see active participation from candidates as well as companies. The fair will witness around 61 companies, recruiting for more than 4000 available positions. Further apart from prominent companies in the IT sector, the job fair will also witness a host of banking and retail companies scouting for talent. A day long initiative, the job fair is open to any candidate who has passed 12th standard and above. Indian Institute of Job Training [IIJT] is one of India’s fastest growing career skills training organization with a capacity of over 1 lakh concurrent students in courses. Started in 2006, IIJT is the fastest growing educational brand in the country with over 100 centers across the country. IIJT offers short term and long term courses in the areas of Finance, Information Technology, Retail and Sales & Marketing. The TeamLease and IIJT strategic alliance aims to help bridge the employability gap and support the industry’s demand for skilled manpower. TeamLease Services (TeamLease™) is India's largest staffing company and has been spearheading the Staffing revolution in India for more than seven years now. In this short span of time, TeamLease has deployed more than half a million candidates, and in doing so, it has emerged as one of India's largest private sector employers. The company currently has over 65,000 employees on its rolls, in over 700 locations across the country, working for more than 1,200 clients. In a recent acquisition, TeamLease has acquired a substantial majority stake in the Indian Institute of Job Training (IIJT). 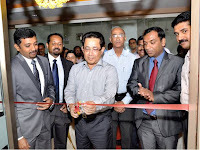 Mr. Joy Alukkas, Group Chairman & Managing Director of Joyalukkas, iangurted the Marinde Drive branch of ICICI Bank on 11.02.2013 in the presence of Regional Head Mr. Eby Abraham, Cluster Manager Mr. Binu Joseph and the Branch Manager Mr.Rakesh. in the way maritime trade is conducted in the country. importers and exporters and strengthen the trade. Rail-ICDs near Gurgaon and Ludhiana. St Albert’s College Physics Department with sponsorship from DBT Delhi conducted a one day seminar on Biophotonics on Tuesday, 12/2/2013. The seminar was inaugurated by Rev Fr. Manger Antony Aarakal. Prof. Lawrel Gregory, HOD, welcomed the gathering. Principal Prof Harry Cleetus and Vice Principal Dr. Cyriac Mathew felicitated. The chief guest was Dr. Jayasree V.K, Head of the Department of Electronics Engineering,Model Engineering College, Thrikkakara. She was formally introduced by Prof Justine Paiva. The talk started with explanation of interaction of light with biomatter. Natural examples are photosynthesis, vision of eye etc. Biophotonics opened vistas for non-invasive diagnostics, tissue engineering etc. Lasers can pin point cells which can be held on by precision lasers while other lasers repaired the cell.When light is incident on tissue, reflection, refraction, absorption and scattering can happen. Of this, scattering is the most important in diagnosis because from the scattering pattern, cancer if present can be detected, for eg. Raman scattering in CO2, Argon or Nd-YAG laser are used to detect cancer. Bio imaging is another area which is replacing traditional imaging like X ray, CAT, MRI etc. The main reason is that optical imaging is non-toxic and harmless. In the therapy side photo sensors either injected or applied topically creates singlet oxygen atoms which destroy cancer cells while leaving normal cells alone. Popular LASIK surgery has been correcting faulty eye sight for ages now. PPG - Photo Plethysmography is now widely used to monitor heart level in ICUs. Comparing PPG's of a normal and diabetic person reveals the amount of degradation in the diabetic's circulation. EGG - Electro Gastrogram for stomach - generated from PPGs are going to help patients a lot in the near future; Dr Jayasree V.K concluded. Kochi: Federal Bank has won the prestigious ACI Excellence Award 2013 for Product Innovation. The award winning product is Apna Gold 24x7 (earlier known as Federal Easy Gold). The bank emerged the winner in Public Voting. This is the second award in a row for the bank. Last year Bank had won the ACI Award in “Excellence for Payment Transformation” category. This time the award is in recognition of the bank’s Creativity in Solving Market Problems. ACI Worldwide is a US-based company offering various payment system solutions across the globe. Apna Gold 24x7 has become a new benchmark in the industry as far as loan against pledge of Gold is concerned. The project was taken up as part of Federal Bank’s abiding commitment to enhance customer comfort and delight through innovation and technology absorption. With this path-breaking product, Federal Bank has integrated the advantages of convenience and flexibility to customers and strengthened its position as a bank of choice. Taking gold ornaments as the security, Apna Gold 24x7 provides customers the convenience of withdrawal / use of loan amount through any ATM. It provides customers the flexibility of cash withdrawal or 24x7 shopping through multiple channels even after normal banking hours and on holidays. The security of the gold ornaments is assured under bank’s common insurance policy for which premium is paid by the bank. The money can be used in parts as per the needs of the customer and interest need be paid only for the used amount for the actual days of use. Customer is given the convenience of taking back and using the ornaments. Customers have the convenience of availing Apna Gold 24x7 from any of its 1032 branches and making cash withdrawals from any ATM of any bank. Federal Bank is a leading Private Sector Bank with a branch network of 1032 branches and 1,154 ATMs spread across the country. The Bank’s total business has risen to Rs. 91,101.34 crore and its Net Worth to Rs. 6,323 crore by 31/12/2012. It recorded net profit of Rs. 776.79 crore during the last financial year. 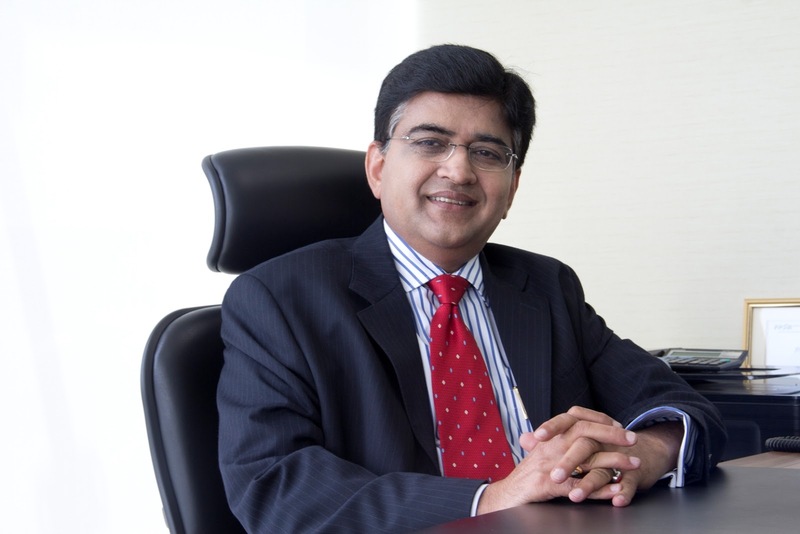 Federal Bank has its Representative Office at Abu Dhabi that serves as a nerve centre for NRI customers in the UAE. Federal Bank is transforming itself, keeping its principles intact, into an organization that offers services beyond par. It has a well defined vision for the future as a guidepost to its progress. Mumbai, February 8, 2013: IDBI Bank with a strong focus on Government Business has been engaged in the collection of various Direct and Indirect Taxes of the Central Government and various State Governments. In January 2013, the Bank reached a major landmark of Rs. One lakh crore ( total Rs 1.08 lakh crore) in respect of Central tax collection for the current Financial Year thereby repeating the feat achieved during FY 2011-12. As at the end of January 31, 2013, the Bank has surpassed the total tax collection of Rs.1.20 lakh crore, including state taxes as against Rs.1.24 lakh crore collected in the entire previous year. The Bank went live on January 16, 2012 for payment of Customs Duty on pan India basis. Considering increased volume of Customs Duty on regular basis and to provide better services to our valued customers, the Bank decided to move to multiple challan mode of payment of custom duty, which has since been launched on January 29, 2013. Under this module, customers would be able to pay upto 25 challans at one go pertaining to any one port. It will not only reduce the time for processing the challans but would also make the payment of customs duty through net banking most convenient for the Bank's customers. IDBI Bank is the youngest, new generation, public sector universal bank that rides on a cutting edge core banking Information Technology platform. This enables the Bank to offer personalized banking and financial solutions to its clients through its 1032 branches and 1606 ATMs. The Bank had an aggregate balance sheet size of about Rs. 2,75,000 crore and total business of about Rs 3,60,000 crore as on December 31, 2012. IDBI Bank's operations during the 9 month period ended December 31, 2012 resulted in a net profit of Rs. 1328 crore. • 3 year closed ended actively managed equity mutual fund scheme. Investments to be made exclusively in RGESS eligible securities.Scheme open to all investors. • Income tax benefit under 80CCG of the IT Act available for investment of New Retail Investors as defined under RGESS. • The IT benefit is in addition to benefit available u/s 80C. • Units available at par Rs. 10 during the New Fund Offer. • Plans offered: Regular Plan with Dividend & Growth option. • Benchmark – BSE 100 Index. Mumbai, February 09, 2013: IDBI Mutual Fund today announced the launch of IDBI RGESS (Rajiv Gandhi Equity Savings Scheme-Series I), a close ended growth scheme offering income tax benefits under Section 80 CCG of the IT Act, 1961. The New Fund Offer (NFO) will open for subscription on February 9, 2013 and close on March 9, 2013. The units will be available at par (Rs.10/-) during the NFO only. The investment objective of the scheme is to generate opportunities for growth while providing income tax benefits under section 80CCG of the Income Tax Act 1961 by active management of portfolio investing predominantly in RGESS eligible equity instruments. About IDBI Asset Management Ltd.
PVS Memorial Hospital Ltd., Kochi, introduces Kerala’s first 3D Laparoscope! officially inaugurated the first 3D Laparoscope in Kerala at PVS Memorial Hospital, Kochi. 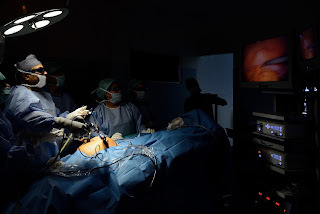 Key Hole Surgery - the 3D Laparoscope. enhances precision and gives better prognosis with the least morbidity at affordable costs. precision and accuracy of the surgery. Dr. Agatha Moniz have conducted surgeries using this technology. Head, India for B Braun [Aesculap]) explained the technical details of this new technology. the vote of thanks at the function. Speaking about the benefits of its new Office, the company’s Managing Director, C. J.
a space for a healthy environment. 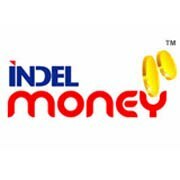 Kochi, February 5, 2013: Mumbai-based Indel Money, an NBFC promoted by a group of NRIs including international bankers and finance professionals in 2002, announced its decision to begin its operations in Kerala by opening nine branches in the districts of Thrissur and Palakkad. As per the RBI guidelines, Indel Money will focus its activities on gold loans, vehicle loans, SME loans and instant money transfers. Addressing a media conference here today, Mr. Mohanan G., Chairman & Managing Director of Indel Money, said the nine branches are in Varadiyam, Thrikkur, Ponnukkara, Kuttoor and Kondazhi in Thrissur district and in Thenkurissi, Vadavannur, Karapotta and Nhangattiri in Palakkad district. 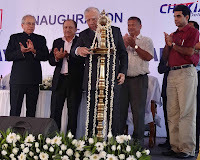 "In 2013, we are planning to open at least 100 branches all over Kerala," announced Mr. Mohanan. Mr. Ramesh T., the Executive Director of Indel Money, said the company's mission is to maximize value to all its customers, staff, the regulators and the community at large by adopting best practices and continually striving for excellence. "So that we can be the most passionately referred service provider in the world of financial services," he added. The media conference has also been attended by the company's director Mr. Umesh Mohanan and non-executive directors Mr. Anantharaman T. R. and Unnikrishnan Venugopal. The company's CMD, Mr. Mohanan G. is an experienced ex-international banker while another director Mr. Umesh Mohanan, an experienced investment professional, is currently the CFO of US$ 5-billion Delma Emirates Group headquartered in Abu Dhabi, UAE, having its presence across the globe throughout the whole of GCC, East Europe, East Africa, Indian subcontinent and Far East with activities spanning from infrastructure construction, banking, defense equipment contracting, security surveillance, equipment trading, manufacturing and investment banking. More than 20% of the group’s turnover is contributed by its UAE business. Mr. Ramesh T., Indel Money's Executive Director, is a seasoned management professional having more than 20 years' hands-on experience in NBFC sector. Presently pursuing a doctoral programme with IIM, Bangalore, Mr. Ramesh is also dealt with international banking operations, regulatory frameworks of RBI, money transfer, inward remittance business, international financial products and foreign exchange of various international companies. Mr. Anantharaman.T.R., one of the non-executive directors of the company, is a fellow member of the Institute of Chartered Accountants of India, having 15 years of professional services with 12 partners and 7 offices throughout India while Mr. Unnikrishnan Venugopalan, another of the directors, is a lawyer and company secretary by profession. Formerly working as Legal Representative and Company Secretary of an MNC with more than nine years of professional experience in the industry, he is also the founder of U.V. & Associates, a consultancy firm offering services in corporate law and other legal matters. For more details, please visit: www.indelmoney.comin Thenkurissi, Vadavannur, Karapotta and Nhangattiri in Palakkad district. 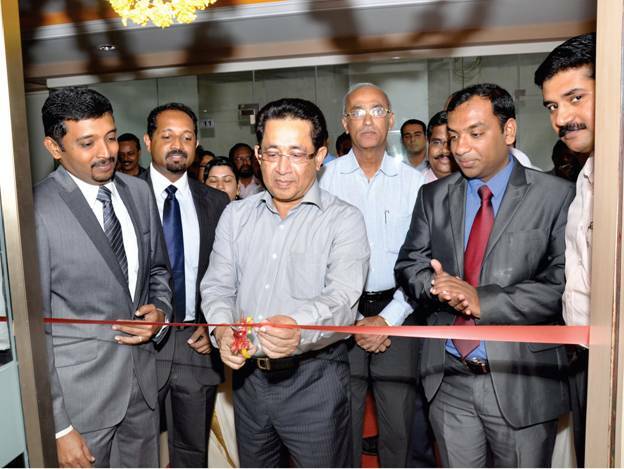 "In 2013, we are planning to open at least 100 branches all over Kerala," announced Mr. Mohanan. Executive Directors will report to C. J. George, Managing Director of the company. wealth management in State Bank of India and BNP Paribas. Country Head – Wealth Management. time travel is needed to reach the milestone of doubling food production in less than 10 years. products that are immensely beneficial to the farmers. from February 1st to February 3rd 2013 at the Vigyan Bhawan, New Delhi. meet the food grain requirement of the proposed National Security bill. The conference will be inaugurated by the honourable President of India, Shri. Pranab Mukherjee. in agriculture and extension work. professor, Dr. Bibek Debroy (Center for Policy Research), to name a few. The final day’s events include the valedictory function which will be led by Smt. Sushma Swaraj, MP. loss of Rs 428 crore in Q3-FY12. in Q3-FY13 as its non-AP portfolio grew by 9% from Rs 1372 crore in Q2-FY13 to Rs 1496 crore in Q3-FY13. the start of AP microfinance crisis in October 2010.
bank balances of Rs 304 crore. Q3-FY11 in 11,195 in Q3-FY13. Completed 5 projects measuring 0.72 million sq. ft.
the third quarter of FY 12-13, which ended on December 31, 2012.
came at Rs. 526 million on a consolidated basis. increased by 8% and 7% respectively, YoY. billion at an average price realisation of Rs. 5,910 per sq. ft.
having a sound income from this vertical too,” added Mr. Sharma. its superior and well-differentiated product line, is all set to capitalise on the rising demand,” remarked Mr.
3.75 million sq. ft. valued at Rs. 20 billion. should augur well for the industry and homebuyers alike,” stated Mr. Sharma. value to the real estate landscape of our country. covering about 54.45 million sq. ft.
aggregating to 10.06 million sq. ft. under various stages of construction. estate presence in seven cities viz. Bangalore, Gurgaon, Chennai, Pune, Coimbatore, Thrissur and Mysore. 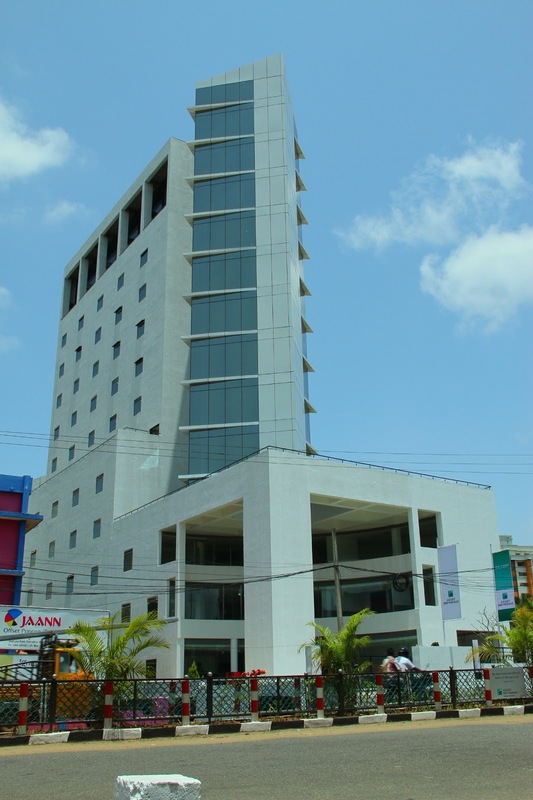 Several laurels were showered upon Sobha during the third quarter of fiscal 2013.
city level at its Real Estate Awards 2012.
of the Construction World Architect and Builder (CWAB) Awards 2012.
winner of the “Best Office Space Design” category at the 5th GIREM Leadership Awards. year too implies that we are the best Company in the country practicing Value Engineering. resources to deliver a project from its conceptualisation to completion. harvesting and high safety standards. restaurants, research centres, and club houses.